The twins were acting very strange tonight, not settling at all and getting up to all sorts of mischief and strange behaviour. 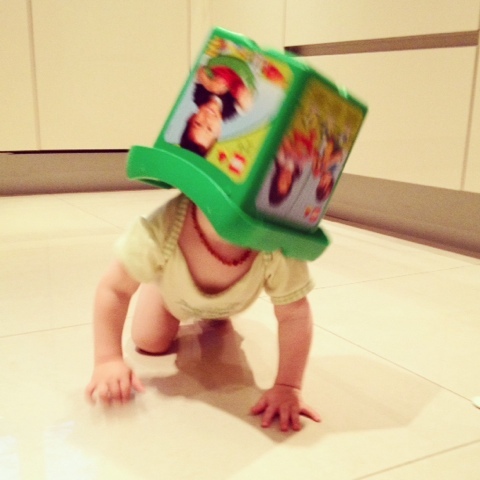 Zachary, for one, insisted on dumping the contents of a Lego box out, popping it on his head and crawling about. I can only wonder if the Supermoon tonight is to blame?